Before I started teaching Kaden to read, I was given a rather long “prep talk” in the introductory section of our selected reading program. If I brought something away from that reading session, it’s about… having patience. The author sort of tried to drill into my brain that I have to have patience when teaching a young kid to read. Patience is the important key to teaching a toddler to read. Yes, I’ll have patience! That’s what I told myself. I was ready, eager and excited on starting the reading program. Boy, was I pumped up when I realized my toddler’s enthusiasm matched or even exceeded mine! For stage 1 of the program (there’s stage 1 and 2), it went swimmingly well! Each lesson was short, and it’s a matter of me really going through each lesson instructions beforehand, printing out the reading cards, and cutting them into little card sizes before I start teaching my son. Sometimes, it was Kaden who chased after his lesson as I sort of procrastinated a little. But some days, he completely forgot about asking for his lessons, and that’s fine! Even when we hit the oral blending section where some difficulty was to be expected, Kaden had few hiccups with the lessons. AIl in all, it’s quite a breeze to carry out the 28 short, digestible daily lessons of Stage 1. As we progressed further along into the lessons, naturally longer sentences were introduced, and we even started on mini stories. Still the learning went on pretty well. But no, my toddler would prove me wrong. It’s amazing how little minds could pick up and absorb things so rapidly! They are like a sponge that soaks up new ideas, information, and their surrounding environment. But as we headed towards the last few lessons of Stage 1, I began to notice a hint of restlessness in Kaden as we did those last lessons. Still, I would say Stage 1 was easy, fun, and delightful to go through! Perhaps the little cards that contain the words or sentences look like play things to him and it was like play to him. We took a 2-3 weeks break before I started him on Stage 2. That’s when things began to change… No more little cards to print out, cut up and use. All the words and sentences are now display on full-sized paper. For the first time, digraphs (a pair of characters that make a distinct sound – phoneme) were introduced, and the beginning lessons are longer and certainly more challenging than Stage 1. Yup, we’ve progressed to big kids’ zone. Understanding that my toddler might need more time to adjust to digraphs, we spent more days on Lesson 1 and 2. Instead of sitting down to focus on the lesson, now I experienced the mounting frustration of seeing Kaden standing up, walking about, laughing and giggling as we tried to get through each lesson! At some point, I would sternly ask if he would like to continue his lesson or stop. Each time, he would tell me he wanted to continue and yet he would continue with his monkeying around. Still we pulled through these lessons 1 and 2. I was getting impatient. Then came lesson 3… Three pair of digraphs that produce the same phoneme are introduced in this lesson, and the lesson is the longest I’ve seen so far! As of lately, Kaden started walking about, laughing and giggling, and dragging what was already a long lesson into an even longer session! Then to my dismay, my voice got louder and more strained as I suggested that we stopped the lesson so he could go ahead and play. Probably sensing the annoyance in my voice, he burst out crying. After I cooled down, I told myself, this isn’t right. I’m supposed to be patient, he’s supposed to be enjoying his lessons, and if he’s distracted, we can always stop and continue another time. It’s really no big deal. He’s much more important. Then it hit me! I should have broken up the long lesson into smaller parts so that each session is kept to less than 10 minutes! I don’t have to complete each lesson in one sitting. At any point if Kaden is to lose interest, I should tell him to go off to play and we’ll continue with the lesson later. In a calm voice. At first when I did that, my son would look at me with an uncertain look that says is it really alright for him to go off? This time, with a refocused mind, I would tell him in a calm voice that we’ll continue the lesson later. Basking in the smooth and easy journey of going through Stage 1, I gotta admit I was unprepared for the sudden sharp turn right from the beginning of Stage 2. Yet, it’s a humbling process showing up my impatience where I had to learn to deal with my own weakness first, before I could resume teaching my son the rest of lesson 3. With a rebalanced frame of mind, the lesson went on much better the next day. After lesson 3, lesson 4 again has another 3 pairs of digraphs that produce the same phoneme. This time, I held onto my patience and thankfully, Kaden surprisingly didn’t get as restless his last 3 lessons. 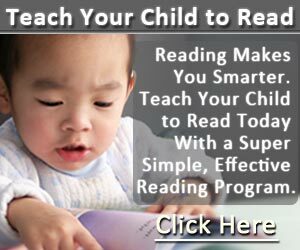 ← When Kids Learn to Read? As Toddlers? Possible! Your site is very informative! I think it will help a lot of parents, myself included! Your pictures look really good.